Caracas, Dec 27 - Venezuela's vice president said Wednesday that head of state Hugo Chavez, now recovering in Cuba from his fourth cancer surgery in 18 months, remains undaunted by his illness. "He has a complex, difficult health situation and a gigantic will to live," Nicolas Maduro said at an official event in the northwestern state of Falcon. The vice president also reacted angrily to opposition accusations that the leftist government is manipulating information about Chavez's condition. "We reject, we repudiate in every part those ill-intentioned stories," Maduro said. 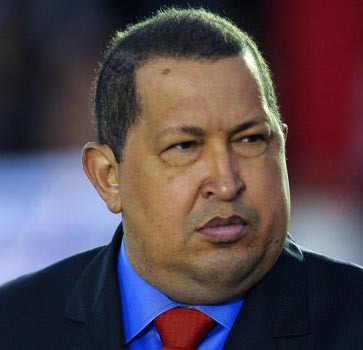 The vice president told state television earlier this week that Chavez is already walking, exercising and dealing with official matters. Chavez telephoned him on Christmas eve from his Havana hospital room to issue a "set of work orders", Maduro said. It was the vice president's first direct conversation with Chavez since the 58-year-old head of state's Dec 11 operation in the Cuban capital. Most of their 20-minute phone call was devoted to government business, Maduro said, adding that Chavez has a "very clear agenda" for his next term, which starts in January. Venezuela's opposition said Wednesday the official reports on Chavez's condition are ambiguous and demanded the appointment of a board of physicians to certify that the president is fit to begin a new mandate. Chavez, who took office in 1999, was re-elected in October for another six-year term.